Uniquely designed with elegant zig-zag accents, the charming Danya B White Metal Wall Mount Rack with Grey Hanging Hooks is a great statement piece for contemporary living spaces. 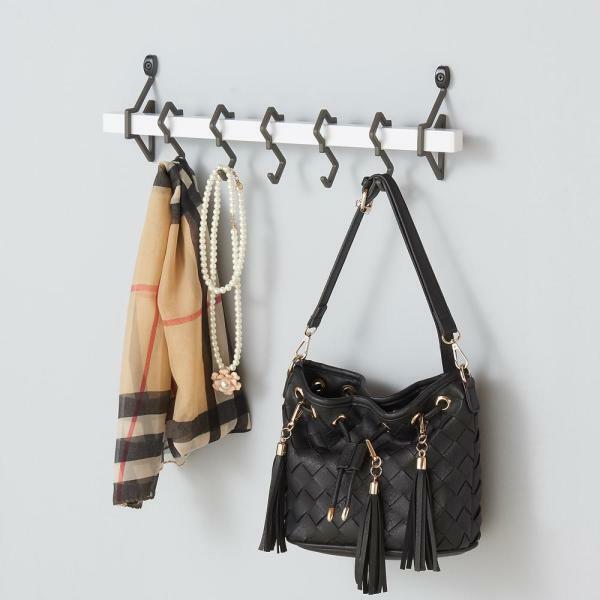 Five hanging hooks provide convenient storage of keys, bags, accessories, and garment. The minimalist white design allows exciting versatility, allowing you to prop this elegant wall mount in any room or color motif. Mount the Danya B White Metal Wall Mount Rack with Grey Hanging Hooks in any place where easy access to your most used accessories is needed! Very Modern look and design. I was originally giving this 4 stars but after some use this product deserves 5 stars. The hooks are fully and easily adjustable at any time once installed. And the product is very sturdy and functional. All the hardware you need to mount the hanger is included, screws. drywall anchor, etc. However I do not recommend using the Drywall Anchor, I hate these types of drywall anchors. every time I use these type of anchors they always fall out and do not hold up, and this time was no different. Once installed I was easily able to pull the mount off the wall with my hand. But if you do use the included Anchors you will need to use at least a 23/64" drill bit to make a hole for the anchor inserts (not given in the instructions). But I Highly recommend using a a different drywall anchor such as "self-drilling Nylon" or "Ribbed Anchors" size #8 which is ultimately what I did. The metal bar looks to made of good sturdy aluminium and the hooks appear and feel they are made of Cast Iron. very good construction. The instructions are simple but vague on a few things... -All the hooks slide onto the bar from either side. There is a button on the bar and this should be facing the wall so you do not see it once mounted. To ensure the mounting brackets pass the buttons (one on each end of the bar, see pic) do not mount the brackets any farther than 16" apart. but at least 15.5" apart for mounting stability. -The mounting hooks should be mounted to the wall before sliding the bar through them, which makes installation a snap. Be sure you slide the bar through the first mounting bracket then slide the five hooks on the bar, and then finally slide the bar through the last mounting bracket. 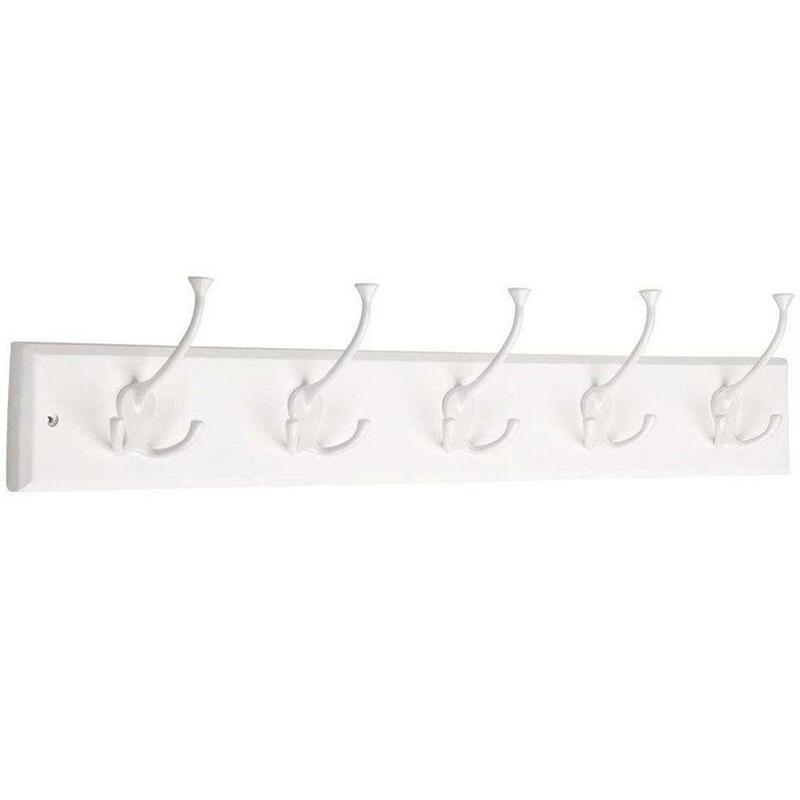 - Once installed the hooks can be adjusted any time you like with ease. A real Positive! Check out the pics demonstrating the different positions and possibilities of how to use this product. -Install took about 5 minutes. I really love the Le Cuisine 19" W by 6" H White Metal Wall Mount Rack with Grey Hanging Hooks. It is very stylish and functional. It's great for a couple of medium sized items or several small ones. I plan on hanging it in my laundry room, but probably the kitchen would be another great place. The design is great! The quality and workmanship look very high end. I can't wait to hang it!! When I first unpacked this wall mount rack with hanging hooks, the item felt a bit cheap. However, once it was mounted, I saw that it looked decently strong and would probably last a long time. The value, however, is great - it does the job and appears to be doing that well. It also looks sleek and modern, something which would go with any decor. I would recommend this product. 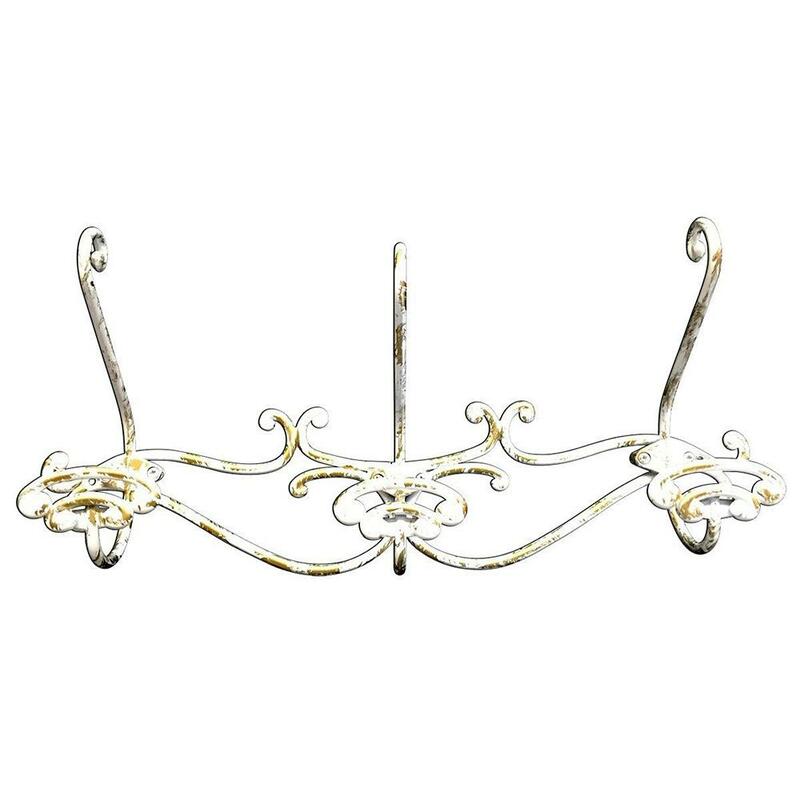 Sturdy and bold the Liberty Galena rail adds a stylish element to your home decor. 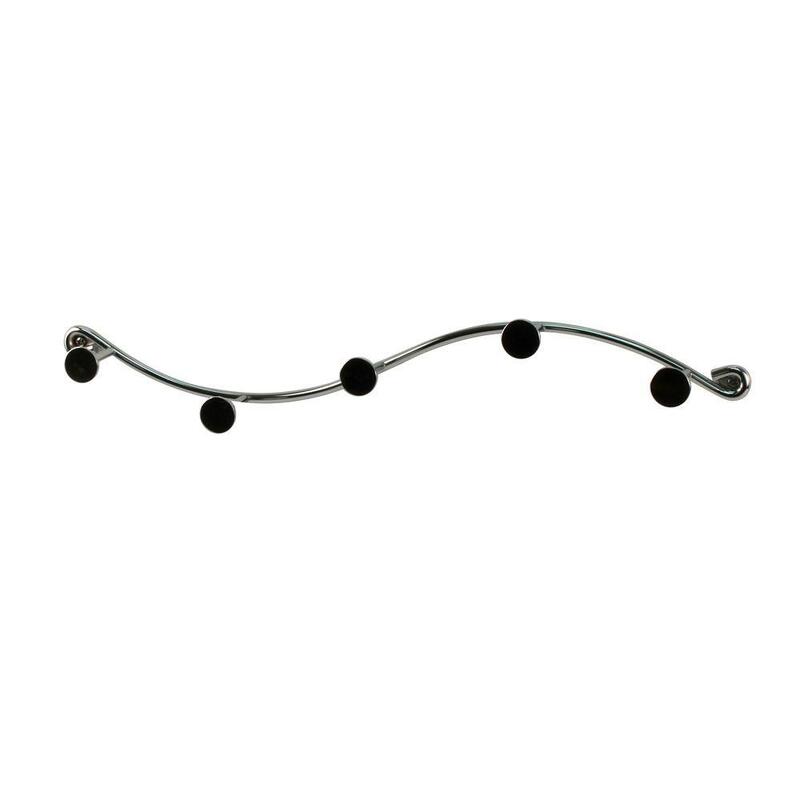 with bold lines and elegant hooks this rail brings an upscale accent to your home organizational needs. Use it to create order out of chaos wherever you need more storage.Sturdy and bold the Liberty Galena rail adds a stylish element to your home decor. 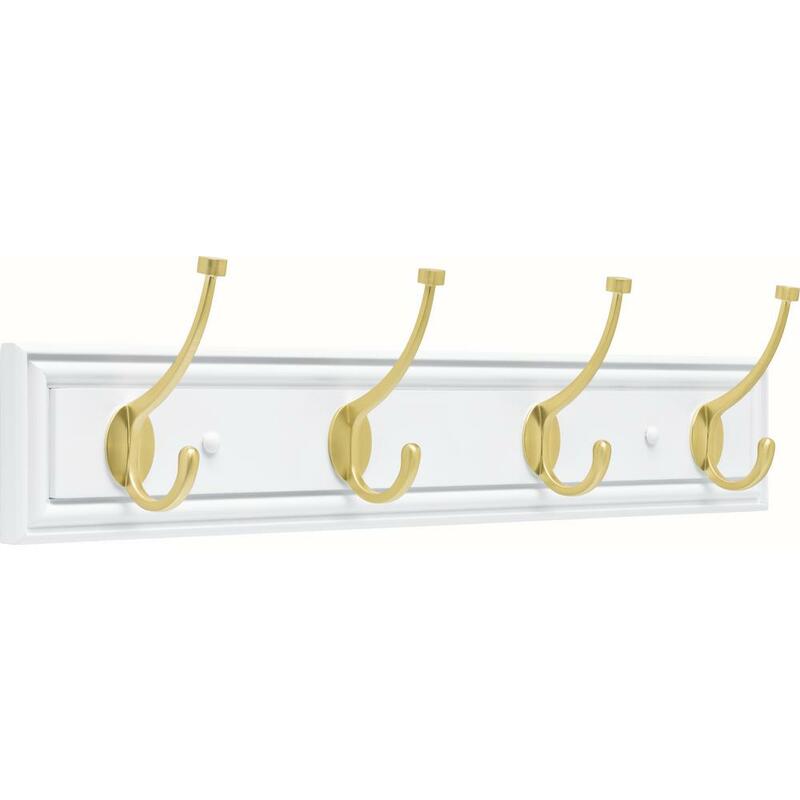 with bold lines and elegant hooks this rail brings an upscale accent to your home organizational needs. Use it to create order out of chaos wherever you need more storage.